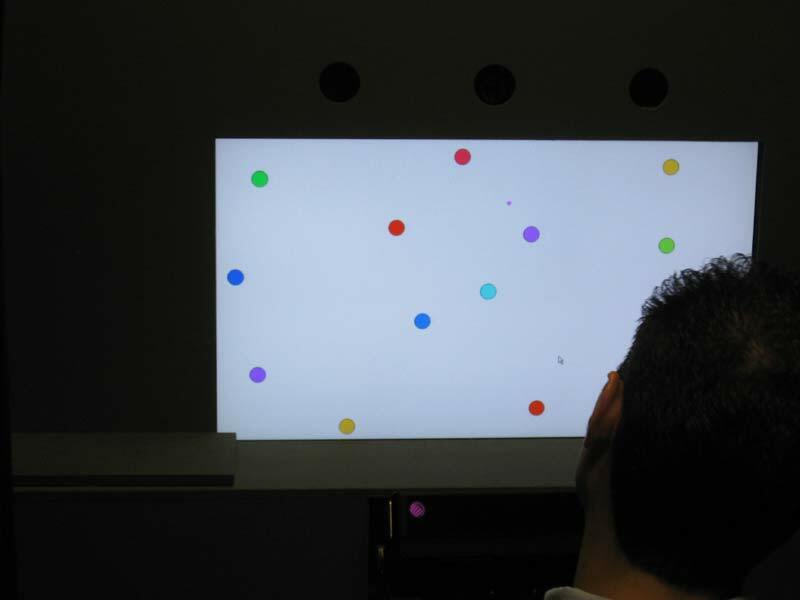 Eye tracking at the University of Oxford, department of Psychology. The black tool at the bottom is the eye tracking machine, version 1200. The little violet dot on the screen is the position where the subject is currently looking at, tracked in real time. This pictue on the screen is used for the initial calibration, which needs to be done for each subject. Eye tracking is increasingly used in the study of visual representations, human computer interaction, marketing, etc. I was amazed to learn that is now used to study political choice, and they found that democrats and republicans look at different parts of the same picture!! For example they look at the aggressor or at the victim. There are also remarkable gender differences on the focus of images. A simple and very powerful tool for studying visual representations. This entry was posted on Saturday, July 3rd, 2010 at 9:46 pm and is filed under Uncategorized. You can follow any responses to this entry through the RSS 2.0 feed. You can leave a response, or trackback from your own site.